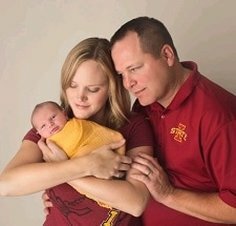 Colleen is married to Dr. Scott Curry. They both share their love of animals and outdoor activities. They have 4 grandsons, whom they love to spend time with. She loves spending her time with her 6 adopted dogs: Harley, Jade, Deuce, Kelly, Riley and Lexi. 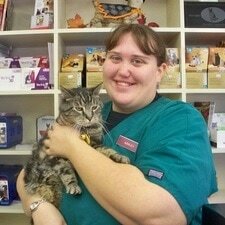 Colleen also has 5 cats and 3 horses that she cherishes. She enjoys boating and riding motorcycles with Dr. Scott Curry. She also likes to travel, especially to places that she has never been to before. Most of all she enjoys spending time with her friends and family. 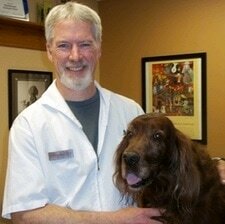 Fiona has been the big boss at Bondurant Animal Clinic since day one. During her long work weeks, she may be found performing a variety of different tasks, such as: sassing the staff and/or clients, keeping up on her appearances, eating treats at her leisure, and on extremely busy days, napping on the back of the printer. Occasionally, Fiona will demand some one on one attention, requiring a lap to snuggle in. Even if Fiona doesn't have any formal schooling in the art of Cat Sass, we still appreciate her AND her cattitude. She is puuurfect to us! Dr. Curry and his wife Colleen live on an acreage just outside of Newton. In his spare time he likes to "play farmer", go on motorcycle rides, and go boating. 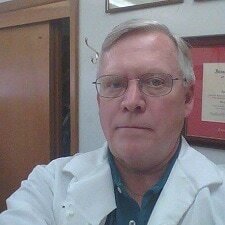 Dr. Curry enjoys spending time with his family and friends, especially his four grandsons. He has multiple animals that have a huge role in his everyday life. Most of his animals have been adopted so that they could live better lives. 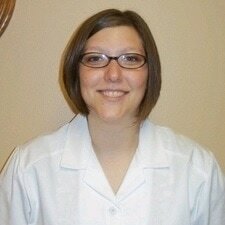 Jadi has been with the clinic since 2009. She has two dogs and two cats. In her spare time she enjoys crafting/anything involving creating art and spending time with her two children and boyfriend Matt. 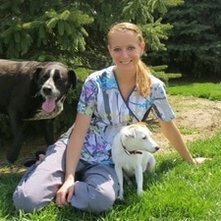 Education: Graduated DMACC Veterinary Technology program in May 2018 and is getting her Veterinary Technician License.